Unique Homemade Scar Removal Cream – Get Rid of Scars Completely Within 2 Weeks! A scarred face can leave you scared inside forever. It is true that your self-esteem will be imprinted by a face scar, in the times when you see yourself against the mirror and always hesitate from the friends, consciously getting away from the fact that the scar might be a topic of discussion among the people around you. It kind of withdraws you from the social circle. The artificial remedies may do more harm than good, to help you, as you do not know what else you are inviting along with the remedy. The best option to remove those problems is to do it in a natural way. Gratefully, there is a scar removal cream that is natural and can help you to get rid of scars. Why after an injury the scars remain? The first thing that is important is why while you recover from some injury the scars still remain. The skin is membrane which is elastic and has the properties like other material with that characteristic. The skin has to shelter the whole inside structure of the body, bones, veins, muscles, etc. It is a subtle natural creation, which adjusts to almost any kind of body variations, from growth to weight increase and weather change to more complex situations such as pregnancies. The skin first accepts any superficial impact on the body. When some injury happens, the body initiates an auto-repair mechanism to heal the superficial wounds. However, the skin reacts like any other material that is elastic and has an elastic limit and when stretched beyond a particular point can lead to a permanent superficial damage. The body might activate its auto-heal process but may not be able to completely heal the injuries, and hence the damage remains partially repaired leaving a scar behind on the skin. It is like ‘nature’s patchwork’, good to continue living with, but not well for living as naturally as earlier. Frankly speaking, it is the body’s way of telling you – I have done my best for you! What you need to do to make the scars disappear? The second phase of the struggle begins as soon as you have to deal with those scars in the public, when your friends look only in you scar each time they meet you months after the incident, unwillingly taking you back to the same horrible page all the time. You struggle with all those scar removing creams and lotions in the market, little realizing they are smeared with more artificial materials that can leave you look even worse than before, let alone remove the scar at all. This is the case with lots of creams that can be found on the market and which usually have an ultimate disappointing outcome. If nature punishes you with an injury, be aware that it also can find you a remedy. The idea is to look out for them once, and you can deal with your scars naturally. Keep on mind- when the body could be 100% able to improve the health from each ailment, the importance of any other natural things on earth would become trivial, right? Nature has plentiful resources outside the limits of your body to help you recover from your wounds and probably your scar is a message that it is time to ‘reconnect’ with nature to find the answers. Below is one scar removal cream which is natural and amazing to treat your disturbing scars and remove them in not more than two weeks. This is what you need to prepare your natural scar removal cream. A cup of cocoa butter (a quarter full). Prepare a water bath and pour equal amounts of cocoa butter and olive oil. Find a suitable container; move the mixture and seal the lead such that it is air-tight but can open when you want to apply on wounded skin. Use it twice daily – every morning and evening. 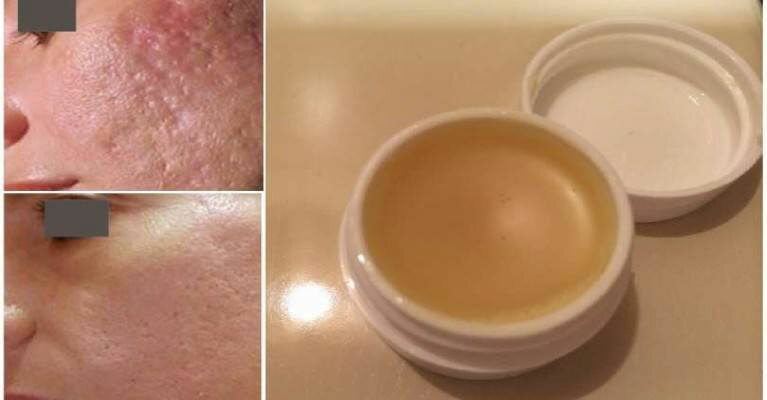 The above homemade cream for removing the scars has a wonderful smell and the ingredients will give astonishing results on your skin. How to Get Rid of Keloids and Scars Naturally, Quickly and Effectively!